This 15 Gal. 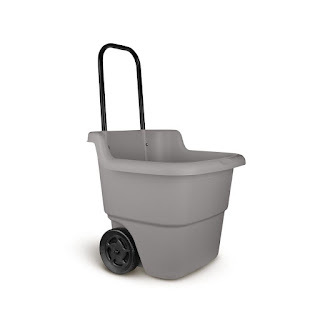 Portable Resin Lawn Cart With Telescoping Handle is ONLY $19.88 during Home Depots - Black Friday Event. Suncast's portable lawn cart is the perfect solution to storing and transporting mulch, dirt and much more. This cart is made of durable weather resistant resin that is lightweight and easy to transport. The telescoping handle allows you to adjust the handle height for ease of use and maneuverability.